If you're running a business or a weblog, you sure must've tried twitter, atleast would've created an account and tweeted some tweets that are related to your business promotion. If you have noted something on Twitter later days, more people on the web are making use of a business profile. It is comparatively growing as equal to Facebook these days where people starting to use Facebook for their personal preferences. People become more conservative on Facebook that they want to keep things to themselves. 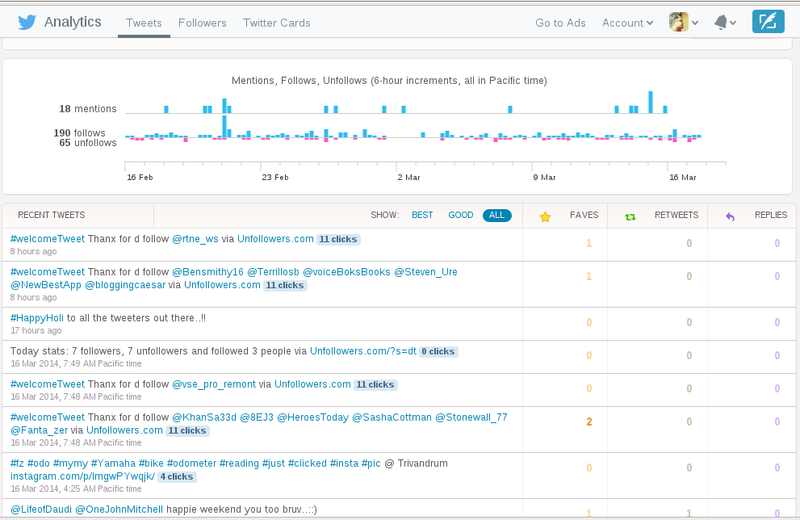 This post will help you to use twitter analytics as if you've used it before. As you know Facebook has already its graph analytics based on the posts like, share and number of clicks, Twitter has released its analytics functionality which is not much reached to all the people over the world, but still people are making use of it. You might see the Analytics at the Settings drop down at the top of the navigation bar. Sometimes you might see Ad Analytics at the place where you want to see the analytics. You should be aware that you can only use twitter analytics if you're a publisher or developer or advertiser. To be a publisher, you can easily create twitter cards which is explained down below. To be an advertiser, you've to apply for the ads which is possibly a paid one. To be a developer, all you've to do is to have an account at twitter developers site and should have atleast one app created with it. Anyway it shows the number of retweets, favorites, as wel as number of clicks any url can get when shared. 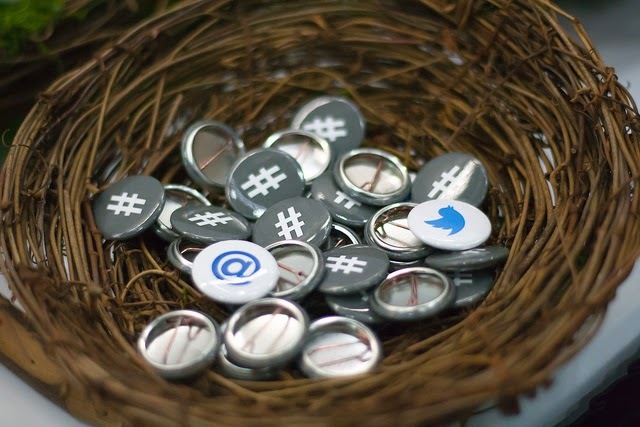 Twitter Analytics can be used to its best for your business. And this post will help you know the needed. We use url shorteners that provide click analytics to know how many times the url is being clicked in a tweet. But on Facebook, there is no need to shorten the url because there's no limitation in number of characters to be used. And this is what it makes special about Twitter. With the twitter analytics, you can see how many times the url is being clicked in a tweet for both shortened urls as well as the original ones. The below image shows the number of clicks and retweets, favorites for a set of tweets that are shortened. Here is another image below that shows the number of clicks, retweets, favorites for a set of tweets that are not shortened which is that I always shorten the url so that I could save some space for the retweeters to mention people or add words to the tweet. Twitter analytics also provides you the overall analytic graph of your tweets per month and its most retweeted, favorited tweets etc., It will help you know what kind of words that work more on twitter and can optimize your tweets to reach more people. Ads Analytics are not applicable unless you pay for it to get your tweets promoted to more number of people. Still if you have ads enabled to your profile, then you'll see the number of clickbacks the url gets per day or week or month. 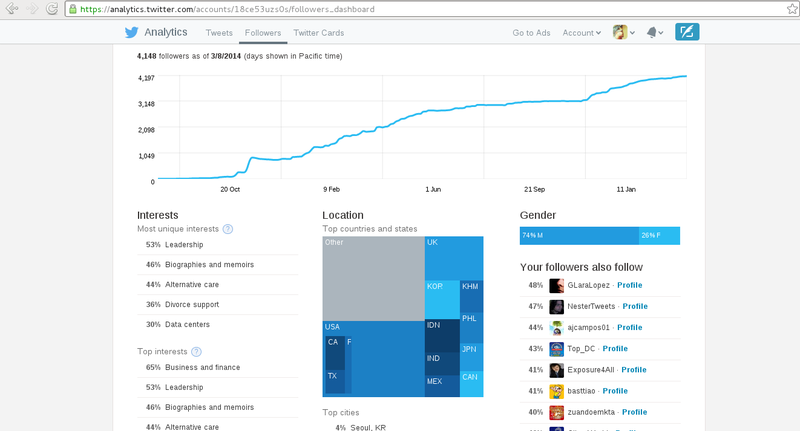 Twitter also lets you get the whole analytics of your followers lists as well as your followings. You can view the best of your followers analytics here at twitter analytics itself. Twitter shows a graph analytic of your followers per month which is useful to analyze the growth of your business profile. There are also other applications such as Topsy, Hootsuite etc., that provide you twitter analytics based on your data once you sign in with your twitter account. 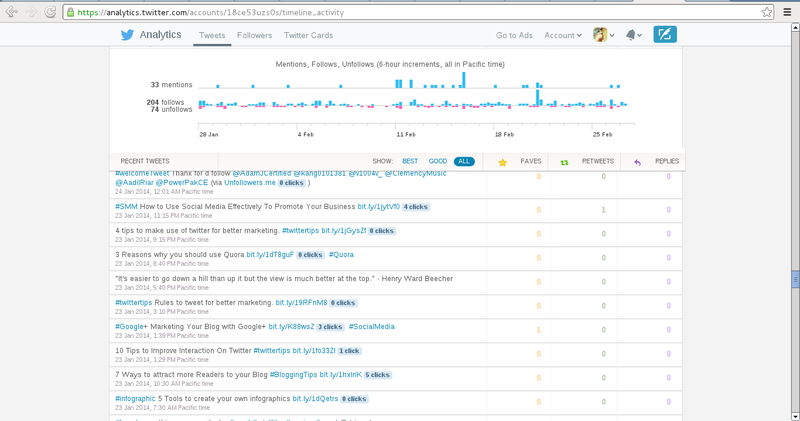 You can also get the analytics of your twitter cards here. For the card analytics to work, you've to create one for your website. Inside the twitter card analytics, you'll find the URL clicks, Install Attempts and number of Retweets your tweet with the card gets. Get your twitter card in just some clicks selecting which type of card suits your business. And add the code to your blog for it to work when you share a tweet with your followers. Validate your card, make sure the card are enabled in your domain. Check for validation at twitter itself or else you can make use of the twitter card validator. Remember you can access to your twitter analytics only if you're a publisher or advertiser or developer. That means you can access the data if you've any twitter card enabled to your website as well. The Export Your Data facility allows you download the analytics data and let you view the data offline. The data will let you calculate your growth on that particular month of the year. The export facility is only for twitter card data. Twitter analytics are useful and it is recommended one for the users who are using third party applications as well, because there might be some limitations with the twitter api that other applications can't happen to provide you with which twitter can provide you with all your data completely. Try out the latest twitter analytics and let me know your thoughts about it..! !